Prior to the Canadian publication of TV Guide, Canada was served by the American publication which was published by Triangle Publications. The first national TV Guide published was on April 3, 1953. 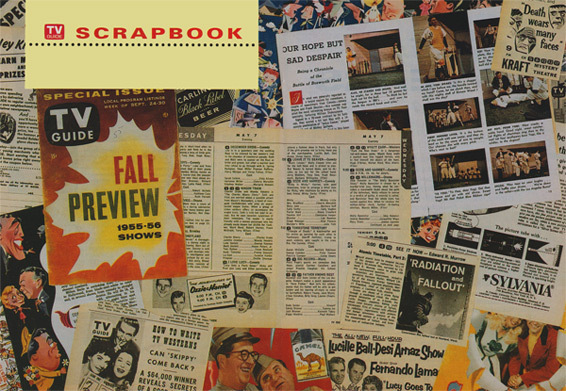 The front cover featured Lucille Ball's newborn son Desi Arnaz Jr with a small picture of Ball in the top curner. The headline read "Lucy's $50,000,000 baby". 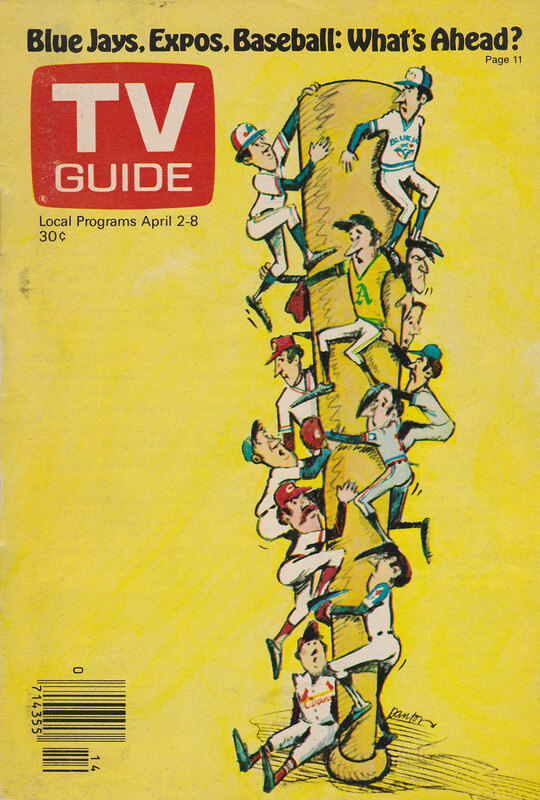 Throughout the 1950s, 1960s and 1970s, TV Guide would expand its coverage into more markets and service as many as eleven markets in Canada in addition to the markets served in the United States. In 1977 Telemedia acquired the rights to TV Guide in Canada and as of Jan 1, 1977 all TV Guides sold in Canada were published by Telemedia. 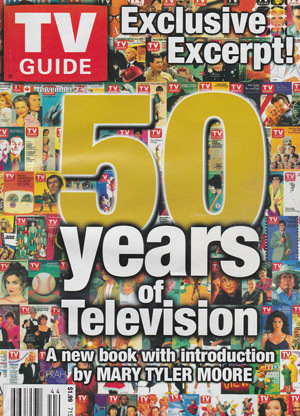 The Canadian publication of TV Guide would continue until the November 25th issue in 2006 after which the printed edition ceased operations. 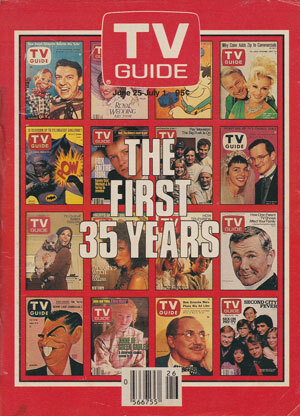 Up until 1977; TV Guide in Canada was virtually identical to the version sold in the United States including the ads in the colour section of the guides. The first issue of TV Guide sold in Canada was the June 26, 1953 issue. 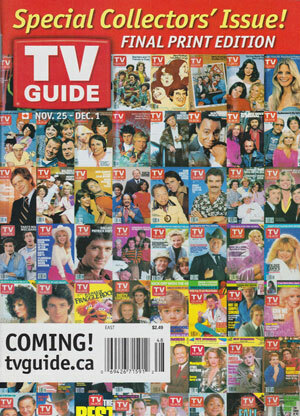 It was the New York-Lake Ontario Edition of TV Guide and was available at newstands in most areas of Southern Ontario. This edition of TV Guide featured listings for 5 channels including channel 9 in Toronto (CBC) and 4 stations from various cities in New York State including Buffao, Rochester and Syracuse. The second edition to serve Canada was the St. Lawrence edition which covered Montreal, Ottawa as well as neighbouring US markets. The St. Lawrence edition started circulation sometime in 1957. The third edition to cover Canada arrived in 1961 with the Dakota-Winnipeg Edition. In some cases certain edtions of TV Guide served both Canada and the Unites States. Some examples include Alberta-Montana Edition, Dakota-Winnipeg Edition, Lake Ontario Edition and Montreal-St Lawrence Edition. 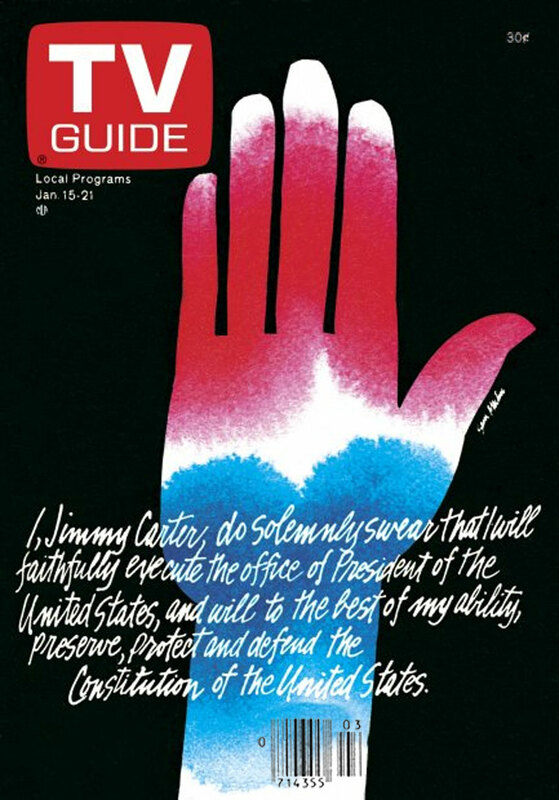 Starting with the December 4, 1965 issue, the printed listings section of TV Guide began to be published by McMurry Publishing for editions that were sold in Canada. This also marked the end of single edition TV Guides that covered areas in the United States and Canada. 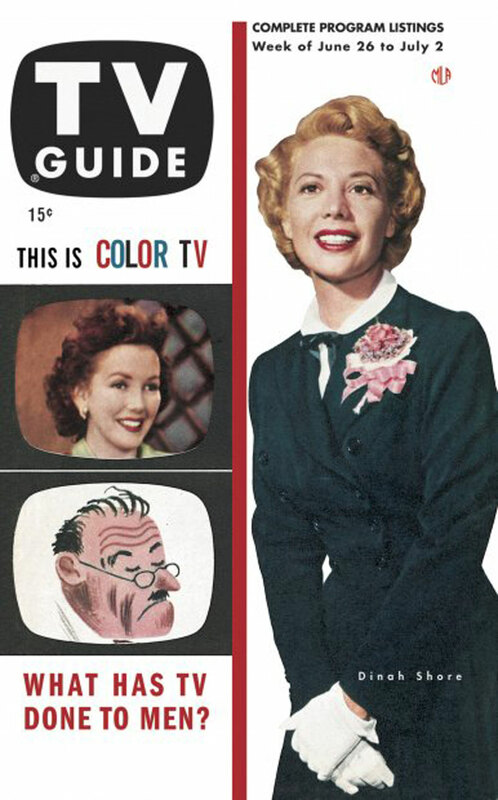 The colour section of TV Guide remained identical to the U.S. version. Weekly subscriptions also began to be distributed by McMurry Publishing as well. McMurry Publishing printed the following editions starting with the December 4, 1965 issue; Western British Columbia Edition, Alberta-Eastern British Columbia Edition, Manitoba-Saskatchewan Edition, Western Ontario Edition, Toronto-Lake Ontario Edition and Montreal-St Lawrence Edition. Starting with the issue on January 15, 1977; Telemedia took over TV Guide in all Canadian markets. In most cases the editions that were published by Triangle Publications/McMurry Publication remained the same. In the early years of Telemedia ownership, some covers and many articles were the same as the U.S. version with some Canadian content added. Eventually all editorial content was unique to the Canadian publication. Initially Telemedia printed eight regional editions of TV Guide. By the late 1980's there was 16 regional editions. This cover below marks the first time where the Canadian editions of TV Guide featured a cover that differed from the American publication. The first eleven covers printed by Telemedia were identical to the American publication with only slight differences in the headlines and page numbers for the featured articles. Starting with the January 29, 1983 issue; TV Guide began listing Pay-TV channels along with the local listings. This coincided with the national launch of Pay-TV services in Canada on February 1, 1983. Below is a list of pay channels that were listed in each edition. Starting in the August 25, 1984 issue, MuchMusic was added to the Pay-TV listings to coincide with the August 31st launch. TSN was added starting in the September 1, 1984 issue. The September 1st issue also showed the merging of First Choice and Superchannel. Editions printed in Manitoba and West had First Choice Superchannel listed with the abbriviation SUP while Ontario and east had FC. Starting in the November 10, 1984 issue, A&E (Arts & Entertainment, CNN (Cable News Network) and TNN (The Nashville Network) were added to the listings. 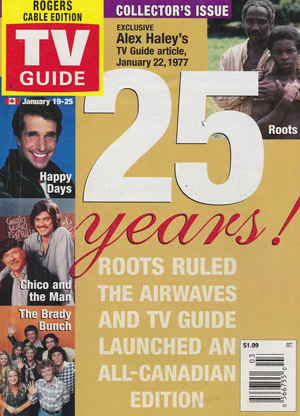 For a number of years, the Manitoba Edition of TV Guide only included listings for First Choice Superchannel due to the fact that both cable systems servicing the Winnipeg region were unable to add any additional Pay-TV services until the late 1980s. 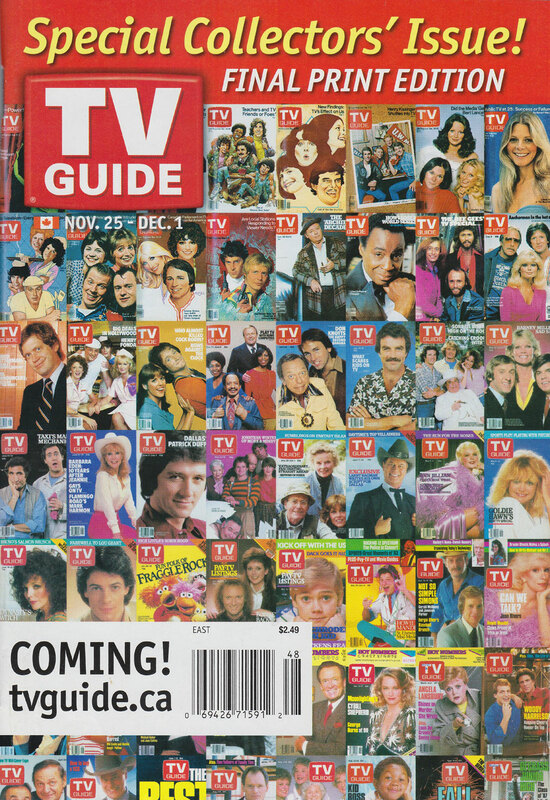 Throughout the 1980s and 1990s, pay-tv and cable channel listings would expand in the various Canadian editions of TV Guide. Below is a summary of channels added to the listings over the years. Vision TV V Aug 27 1988 Launched on Sep 1 1988. YTV YTV Aug 27 1988 Launched on Sep 1 1988. Le Canal Famille LCF Aug 27 1988 Launched on Sep 1 1988. This channel was only listed in Montreal Edition. TV5 TV5 Aug 27 1988 Launched on Sep 1 1988 This channel was intially only listed in Montreal Edition. By the early 1990s, this channel was listed in most Canadian editions. CBC Newsworld NW July 29 1989 Launched on Jul 31 1989. TBS Superstation TBS Aug 31 1991 Listed in most Canadian editions of TV Guide. WGN Superstation WGN Aug 31 1991 Listed in most Canadian editions of TV Guide. The Learning Channel TLC Aug 31 1991 Available in Canada since the mid-late 1980s. Initially only listed in Toronto Rogers Edition. Was listed in most editions by 1992-1993. MovieMax! MAX Nov 5 1994 Launched Oct 1994. Listed only in editions in Manitoba and West. Moviepix PIX Nov 5 1994 Launched Oct 1994. Listed only in editions in Ontario and East. Bravo! BVO Dec 31 1994 Launched Jan 1 1995. Discovery Channel DIS Dec 31 1994 Launched Jan 1 1995. Life Network LIF Dec 31 1994 Launched Jan 1 1995. Showcase SHO Dec 31 1994 Launched Jan 1 1995. Women's Television Network WTN Dec 31 1994 Launched Jan 1 1995. There were many specialty channels offered in Canada that were not listed in TV Guide. In addition to the wide distribution of A&E (Arts & Entertainment), CNN (Cable News Network) and TNN (The Nashville Network) many cable systems also offerd Headline News, Financial News Network (Later CNBC-FNN and then just CNBC), Country Music Television (US version replaced by New Country Network in 1995), Telelatino, Chinavision and later Viewer's Choice Pay-Per-View. These channels were not listed in any TV Guides. Some channels such as CNBC were eventually listed in Canadian TV Guides starting in 1997 or later. Other cable channels such as Parliament/CPAC, Provincial Legislatures, The Weather Network and Shopping/Classified channels were not listed though some editions would make reference to their dial position in the cable converter guides. Starting in September 1991 TV Guide Canada began publishing editions specific to cable systems serving large metropolitan areas. These TV Guides featured channel bullets that referenced the cable dial position rather than the over-the-air position and abbreviated bullets for cable and pay channels. Cable editions were available in Toronto, Calgary, Edmonton, Vancouver and by mid 1990s, Northern Ontario (Sudbury, Elliot Lake). The regional editions continued to be available in these markets. Consumers often had a choice of which TV Guide to purchase at newstands. In 2000, Telemedia sold the Canadian TV Guide rights to Transcontinental Media. 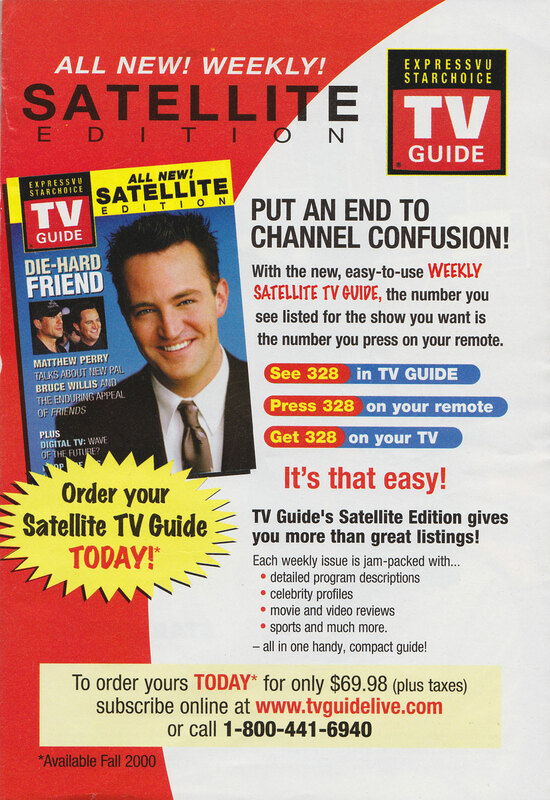 Major changes to TV Guide Canada started with the February 29, 2004 issue where TV Guide Canada switched to the super digest format (similar size to a comic book). Other changes included the eventual elimination of overnight hours and condenced weekday listings. In mid 2005 TV Guide Canada was reduced to 6 editions; Maritimes, East (Montreal-Eastern Ontario), Rogers Toronto-Central Ontario, Western Ontario, Prarie, and Shaw Vancouver-BC. Starting with the November 5, 2005 issue, TV Guide was reduced to just two editions; one for Eastern Canada (Ontario and east) and Western Canada (Manitoba and west). On October 19, 2006; Transcontinental Media announced that it would cease printed publication of the magazine with the November 29, 2006 issue. 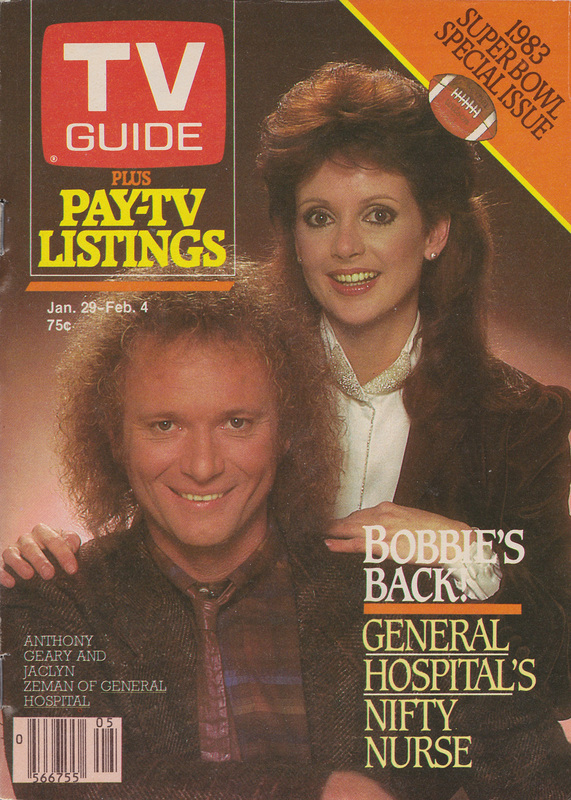 The magazine transitioned to a web only publication following the last printed issue of TV Guide. A new website tvguidelive.ca launched on December 1 2006. 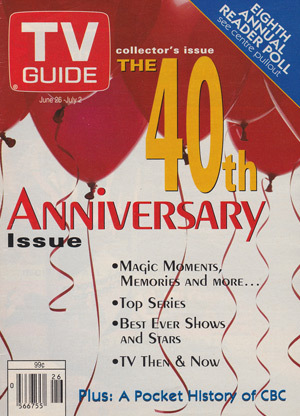 The online publication of TV Guide continued until Decemebr 2012 when it was replaced by The Loop. Starting in July 2014, the American publication once again became available in Canadian markets however the magazine does not feature any local listings. Starting in 1991 several Canadian providers such as Rogers began offering a TV listings channel using the TV Guide brand. 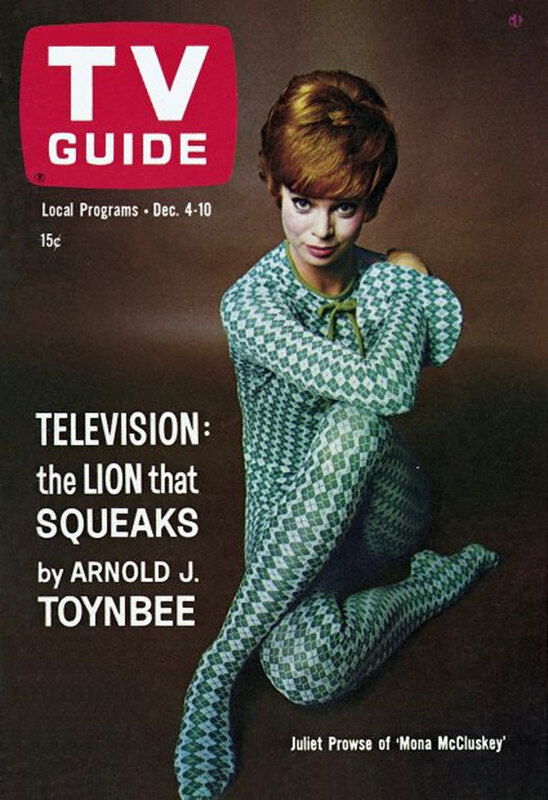 Throughout most of its history; TV Guide Channel featured channel listings on the left half of the TV screen while the right half featured TV, movie and network previews as well as advertisments. By the mid-late 2000s TV Guide Channel became one of the only TV listings providers and eventually replaced services such as Prevue Channel and Zap2It. Starting in 2012 the TV Guide brand was discontinued and now most providers use the TV Listings Channel brand. The TV Guide Channel brand used in Canada should not be confused with the TV Guide Channel available in the U.S.